επιρροές από όλη την Καραίβικη κουλτουρα στο κέντρο της Αθήνας. The journey officially began in 2007 in Sitia Crete. 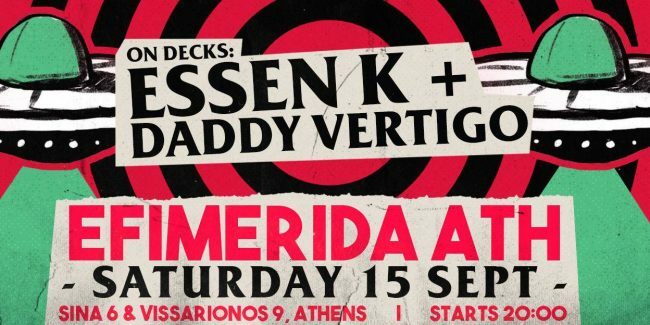 A year ago Andronikos (Vertigo) started his first radio show which lasts until today.Over the years he entered the mentality of Dj set..Followed many Dj Sets in Greece with highlights participations in charitable events. All of these years blended various genres of music until and the finalmixture is based in Jamaican sounds..Υardie beats from Reggae Dub,Ragga,Hip Hop with a special preference in Digital sounds but also many influences from all around the Caribbean musical culture compose his sound..Since 2017 and spending his second decade has been experimenting on remixes with three releases for free download. 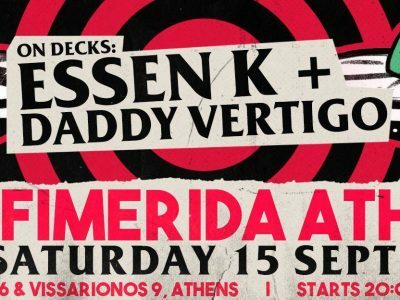 In 2011 he created his own web radio (www.radiospirit.gr) and made many parties and concerts with big names of the Greek Scene. In 2014 he entered the radio team of Mousiko Kanali 101.5 and mixing music for Guest Dj Zone until early 2016 and from 2017 until today has his own show named ‘’The Cranky Monkey’’ on the Athenian Milk and Chocolate radio. Founder of Gruppo del Este familia created in 2014.It’s a family of passionate people with music.A Djs collective that their mission is to »stick» their germ everywhere..
in 2015 he made the dj duo of the ragga cakes named »Ragga Muffins» with Positive Vibes. In 2015,2016,2017 and 2018,was hosted in Reggae Vibes Music Festival and shared the stage with names like : Krak In Dub,Μad Professor,Dreadzone,Vibronics,SKG’S Dub Alliance,ZionTrain and MC’s like Skarra Mucci, Earl 16,Madu Messenger, Mc Brother Culture,Mc Yinka,J Fyah and many more. Has shared the booth/stage with names like:Anna Mystic,Professor Skank, Cayetano, Blend Mishkin, Big Shine, Dj Tzinas, Snk, ThatStyle, Funkanizer, Digital Monk, Mr BiGK,Bass Delight,Jahnnis Man and many more. Essen K ( a.k.a Snk ) is a musician, producer and DJ as well as a founding member of Snk & Snaf project. His musical journey began in the 90s as he grew up in Athens, where he was caught somewhere between learning the piano, Bristol’s dark drumbeats, the East Coast-West Coast rivalry, people, places and traditions from all over the world. His later training as a sound engineer inspired him to combine all these elements and turn them into his unique style, which is reminiscent of trip-hop, downtempo and hip-hop. Essen K’s self-produced sound is based around beats and samples blended with glitch details and self-instrumented brushes of piano, Fender Rhodes, bass, guitars and others. Since his first EP “In All This World” (2012), Essen K has released several solo works favoured by many radio producers and fans. He has performed in numerous festivals and venues in Greece, and carried out a list of notable collaborations with various producers and musicians.